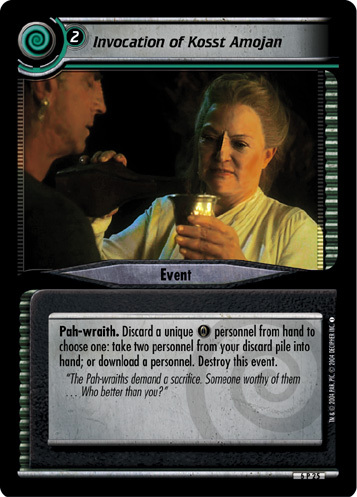 To play this event, you must command two Diplomacy personnel. 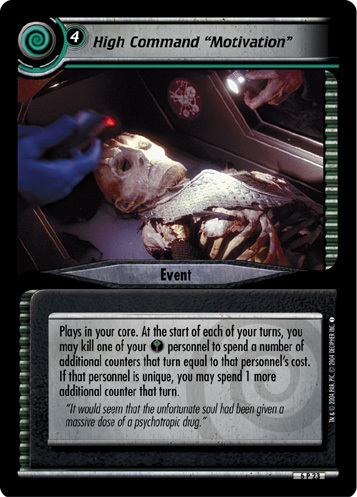 Place a Diplomacy personnel from hand who costs 3 or less on your headquarters mission. Destroy this event. 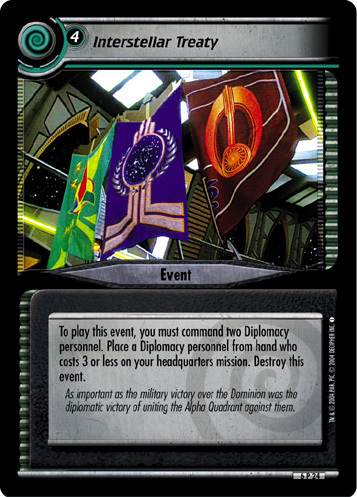 As important as the military victory over the Dominion, was the diplomatic victory of uniting the Alpha Quadrant against them.